Besides having all the functionalities of the Centor Easy W, the Centor Star TW with wrench sensor torque gauge provides handy further possibilities: the graphic display shows the full graph Torque = C(t). This gives you a general overview of the current test. Mounted with a non removable external mini torque sensor, it allows you to measure very small torque with the high accuracy required. It is equipped with a special sensor recognition system. 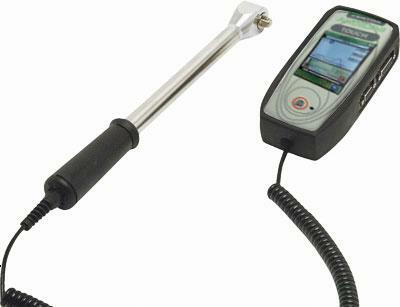 This means that a single instrument can read different sensors (several capacities, Force or Torque). Furthermore, it is possible to freeze its configuration to avoid handling errors. Apply torque with a slow, smooth, and uniformed turn at the torque wrench handle (clockwise or counter clockwise). Typical applications: Screwing&unscrewing, Tightens fasteners, in-line non-rotating parts torque measurement, Automotive and Aerospace torque testing, Static torque measurements on a large range of samples test by hand. Torque wrench is used anywhere you need precision in assembly or maintenance.